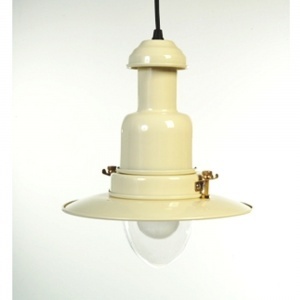 Great Lighting Ltd is an online retailer selling indoor and outdoor designer lighting. Privacy, security and confidentiality are important to us. Collection of data is done solely to provide the service to our customers. 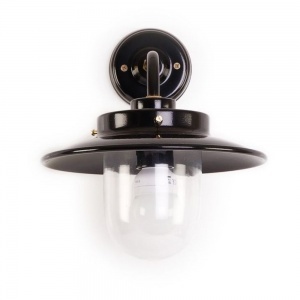 This policy covers how Great Lighting Ltd treats personal information that we collect and receive. Personal information, is information about you that is personally identifiable and includes name, address, phone numbers and email address. This notice only applies to Great Lighting Ltd and does not cover companies that we do not own or manage. During the sales process we will collect, your name, billing address, optional delivery address, email and phone number. We collect this information from you in order that we can process your order and supply you with the goods you have purchased. If you opt in to be contacted, you will be subscribed to our email newsletter, we will use your name and email, this is optional and controlled by you. Any such email will always have an unsubscribe link. We do not rent, sell or share your personal information with any other organisations except to provide the products or services requested by you i.e we will pass on your details to a delivery company in order that your goods can be delivered to you. We will ensure where possible that those that we share your data with are responsible and abide by privacy regulations. We will not otherwise share your information with anyone without your express permission, unless we are forced to do so by law. We will only contact you to share your information where we have your consent to do so and you can withdraw that consent at any time by contacting us. We will use your contact details to communicate with you, to send you notification about the delivery of your purchase, help answer your queries and to maintain our business relationship. Payment of goods will require your name, address and details of your credit card or payment card. Your financial information will be used solely for the processing of payments. We do not hold any credit card information at any time - all card transaction are done via a secure card processor, (such as PayPal) each of which will process data on a secure server and safe environment. For this reason we request you do not send card details by email. Information is held on a secure servers in the UK, passwords (if used) are encrypted and not accessible by us. You can request to view the information that we have about you, you can request to change or delete any personal information previously provided. If we are able to make the changes that you have requested then we will certainly do it, however there are times when we have to maintain records for legal reasons. (HMRC) If you would like a copy of your information, you can email Data Protection Officer at gdpr@greatlighting.co.uk. We will retain your personal information for no longer than is necessary for the maintenance of our business relationship and to meet our legal or regulatory requirements. You can request at any time that we delete your information from our system and where we are legally allowed to do so we will comply with your request. If you add items to your basket and do not proceed through the checkout, the 'basket' is held for 30 days to allow you time to make comparisons or complete your purchase. After that time it is automatically deleted along with any details you have entered. 3rd party cookies - these are created outside of our control, again to track movement from one site to another - such as Facebook or twitter - without these people cannot like or unlike products amongst other things. We use Google Analytics, which enable us to see what pages you use so we can make the site more useful for the visitor. these are also 3rd party cookies. 3rd party cookies can be limited and controlled through your own browser settings. We hope this clarifies things a little and rest assured we are not spying on you! How do we tell you about future changes to this policy? Any changes we make to our policy will be put on our website. (this page) Please check for updates from time to time, so you are always fully aware of what information is collected and how it is used. The Data Protection Officer, at gdpr@greatlighting.co.uk. Last updated 22nd May 2018.